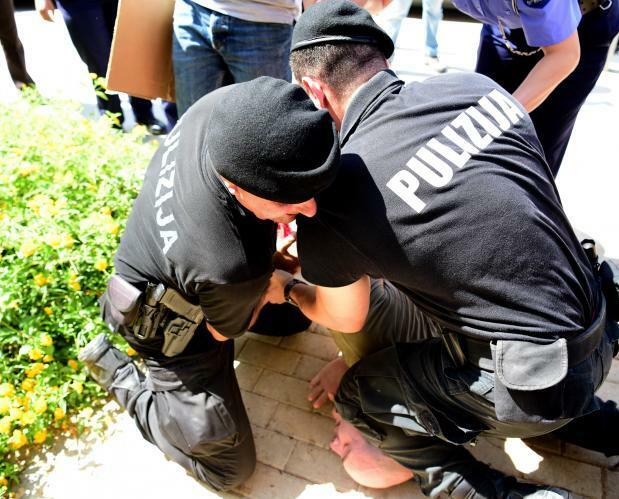 Home Affairs Minister Michael Farrugia told the Times of Malta that the autonomous board, headed by Judge Franco Depasquale, was expected to look into whether officers had been violent when they dragged protesters out of the Planning Authority premises during a protest. Dr Farrugia said the Police Board probe was a normal process when the police dealt with claims of improper conduct by officers. Earlier on Friday, Prime Minister Joseph Muscat had been unequivocal in his position, saying he was disappointed by police's “heavy-handedness”. Meanwhile, members of the police’s top brass told the Times of Malta that they were somewhat surprised by the public outcry. “It depends on the specific case, of course, but when someone is not following police instructions, a certain amount of force can be required,” one senior officer said on condition of anonymity. According to the Police Act, officers may use “moderate and proportionate force as may be necessary to ensure the observance of the laws”. The same law also says that the use of force is a “remedy of last resort” and shall only be used for the duration that is strictly necessary. The Malta Police Association in turn said it was disappointed in with Dr Muscat’s comments. It asked what politicians expected officers to do when faced with a situation like this. “Perhaps they would prefer us to remain passive and let people do whatever they want?” the MPA asked, adding that comments like the Prime Minister’s only served to drop police morale. “Nowhere in the footage did it show police officers using excessive force,” the association said in a statement issued on Friday afternoon. The MPA added that the officers that intervened at the Planning Authority did only what they were duty-bound to do. The association said the protestors were physically removed from the PA’s premises after they refused to comply with police orders. “In fact, once they were removed from the building, the protestors were allowed to continue with their protest,” the statement read.